The Pearl can satisfy the demand of the most discerning palate, such is the consistency and quality of the beverages it delivers day in, day out. From the first brew in the morning to the last cup of the day, the Pearl creates a perfect balance of body, crema, aroma and flavour enhanced by Brita AquaAroma water filters which are fitted as standard. 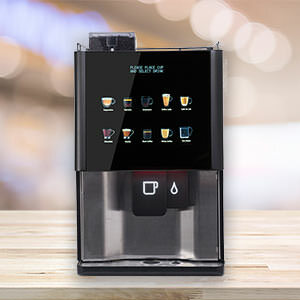 Choose from up to 7 different drinks - espresso, Americano, café latte, cappuccino, chocolate, and chocolatte plus hot water for preparing teas and infusions. 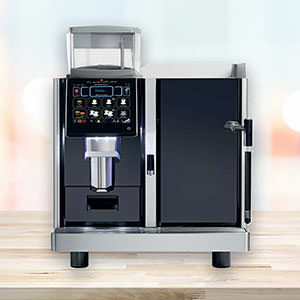 This is an elegant and compact bean to cup coffee machine which is very easy to use. 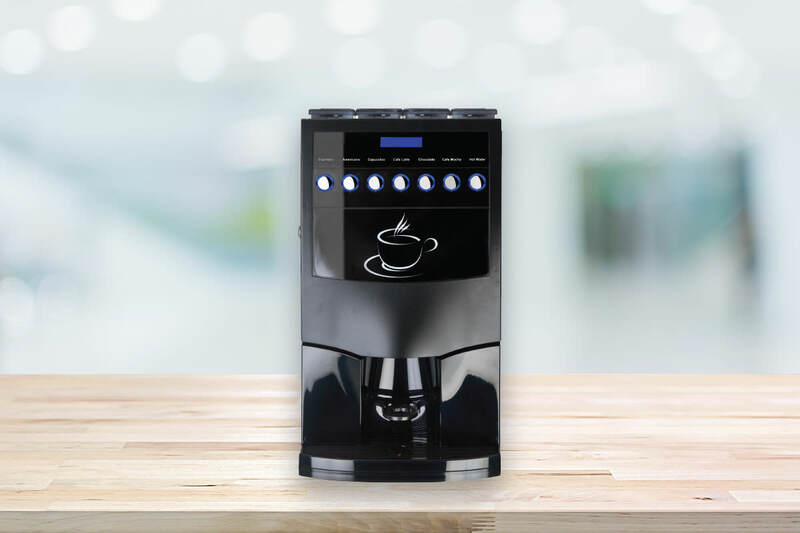 Features which maximise the user experience include: chrome plated back-lit selection buttons; a simple, quick change graphics system and intuitive user interface, nothing could be simpler. 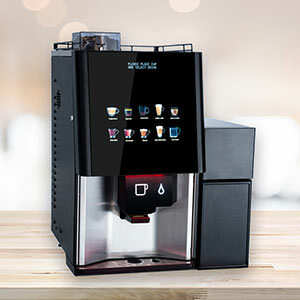 It is very easy to maintain optimum performance as this machine offers comprehensive diagnostic information, indicating for example, low water, coffee sold out and grout tray full which all help ensure the Pearl is always ready to deliver that perfect cuppa. 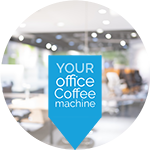 Excited to see how the Pearl bean to cup coffee machine looks and performs in your office? So are we, let's organise a demo.